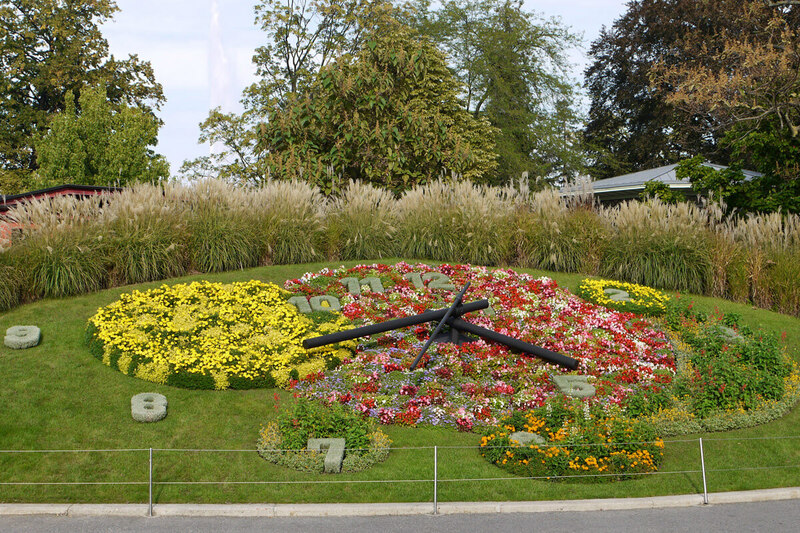 Geneva has a lot to offer and planning your first visit might seem overwhelming. 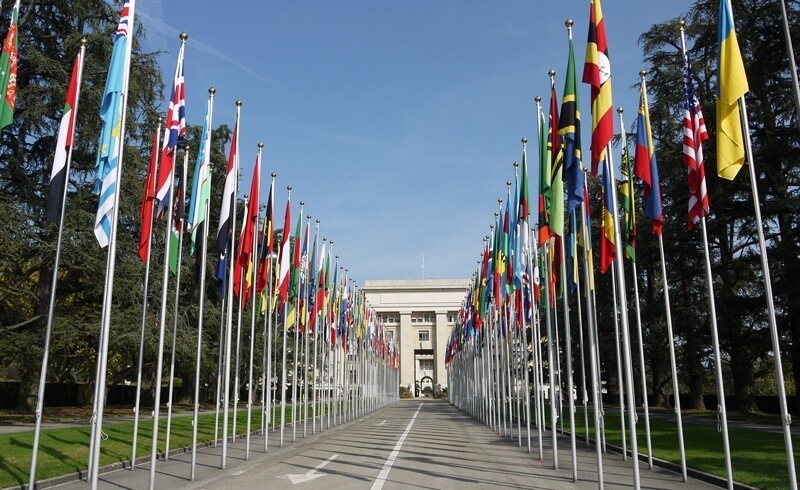 Thanks to the United Nations, the countless NGO's and the banking industry, Geneva is a buzzing international hub. A special mention goes to CERN, the lab where the fundamental structure of the universe is being tested. With all that diplomacy and finance packed in roughly the landmass of Cambridge, Massachusetts, we have compiled this visitor's guide to help you get the most out of Geneva. 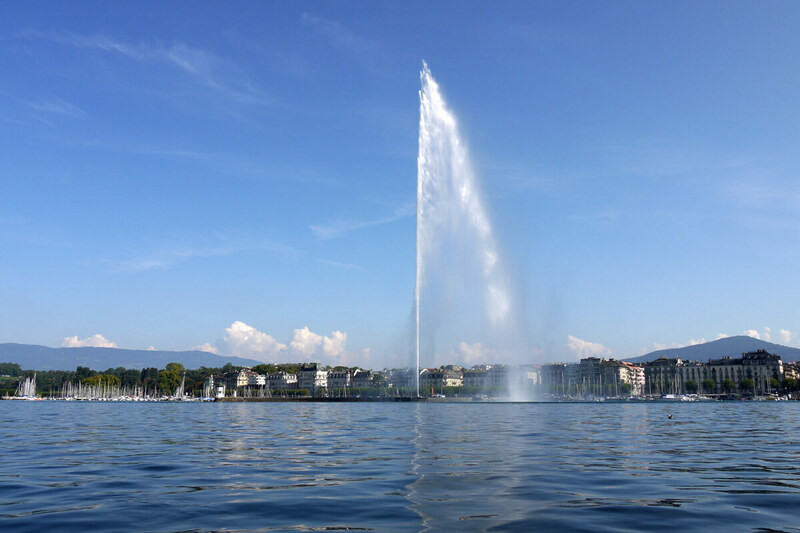 We are going to cover how to get around Geneva, what highlights not to miss and considerations on where to stay. On your first day, it's a good idea to focus on all the sights in the vicinity of the lake and the old town. In order to get around efficiently, take advantage of the public transportation pass provided by the hotel. 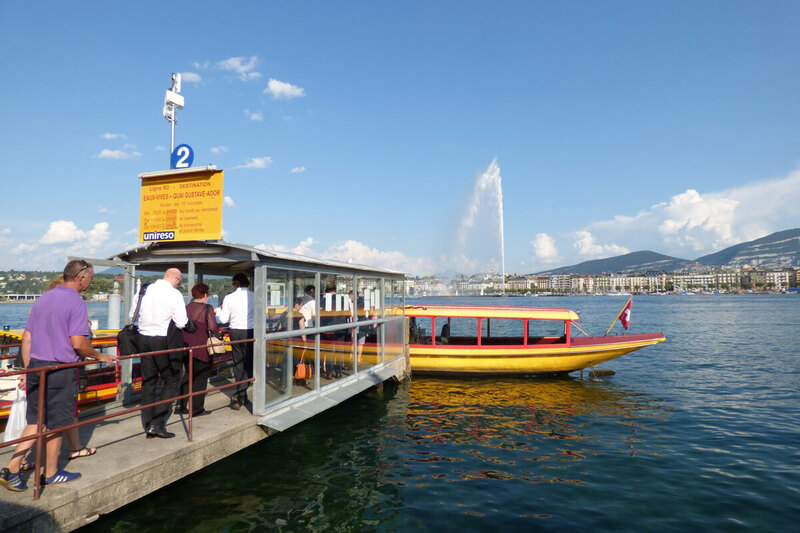 I did not know about the boat taxis before my first visit to Geneva, but they are ubiquitous and will allow you to cross the lake quickly. The boats are hop on/hop off, and we did three of the four lines consecutively the first morning. This takes roughly one hour and allows you to see the city from different perspectives. Board line M4 at the beautiful and worthwhile botanical garden at De-Châteaubriand. (It runs twice an hour from the dock near the restaurant La Perle du Lac.) 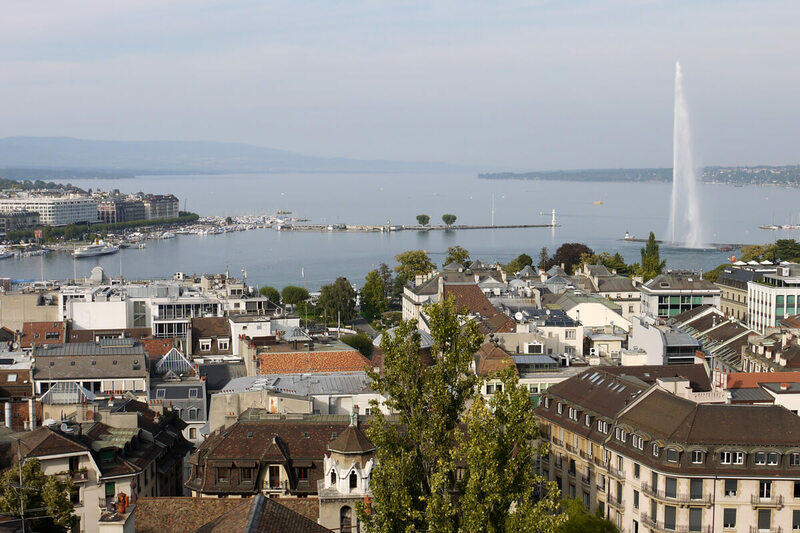 From there, cross Lake Geneva to the yacht harbor and beaches at Genėve-Plage. Next, you will see the Jet d'Eau water fountain from up close. Once arrived at Genėve-Plage, switch to the boat line M3 headed for Pâquis. It will get you fairly close to this gigantic, 140 meter tall water spout in the bay. 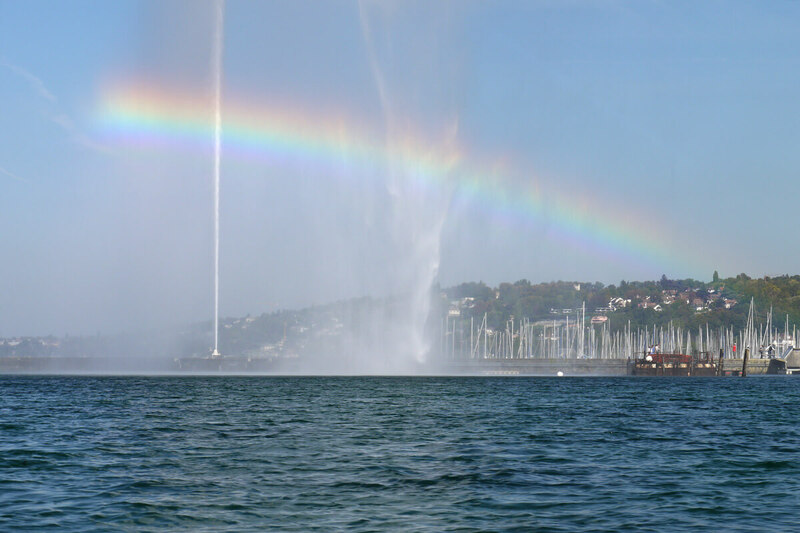 You will see why the Jet d'Eau is Geneva's trademark. Make sure to keep your camera handy because this photograph will be for the memory box. Not far from here in the center of the Mont Blanc Bridge is a monument dedicated to Calvin, the Reformer. 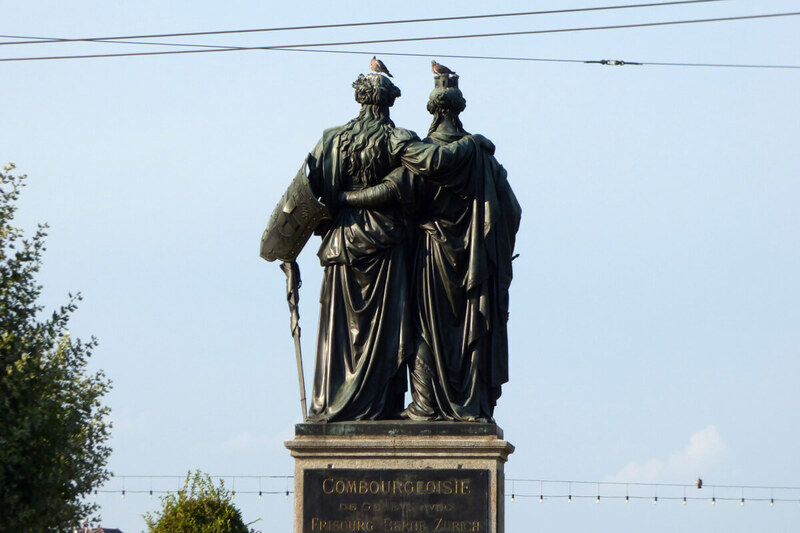 Geneva was his birthplace and therefore played a major role in the religious history of Europe. Stroll the cobblestone streets at your own leisure but keep heading towards the St. Pierre Cathedral. While you are in the vicinity, have a look at Geneva's Russian Orthodox Church. A visit of the United Nations and the Palace of Nations should be on anyone's list of things to do. Plan this for your second day and get started early. 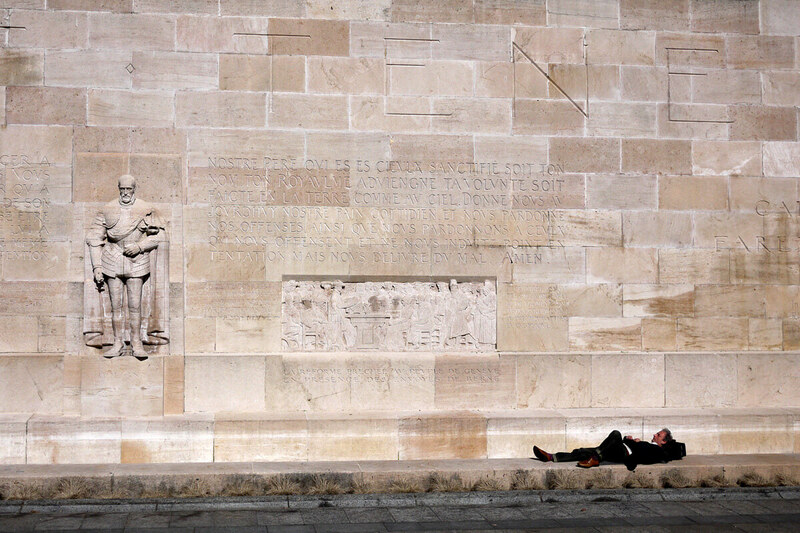 You do not need to rush, but visitors in the front of the line will be admitted between 9:45 and 10:00 AM. Thus, we would recommend you arrive at 14 avenue de la Paix by 9:30 AM. Important: Bring your passport or Swiss ID card in order to be admitted, and avoid any large bags or purses if possible. After security clearance, you will be able to buy a tour pass for CHF 12. 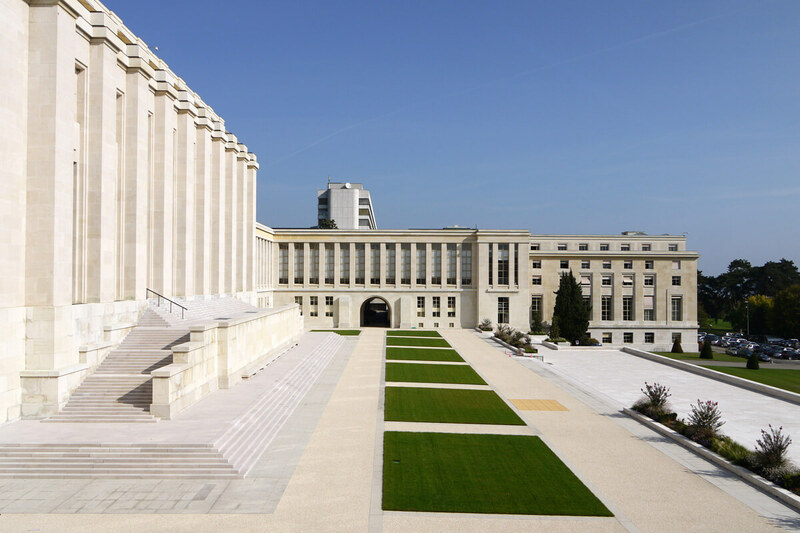 Have a look at our complete guide on visiting the United Nations in Geneva. The day I commuted to work by boat. Across a national border. For "free."